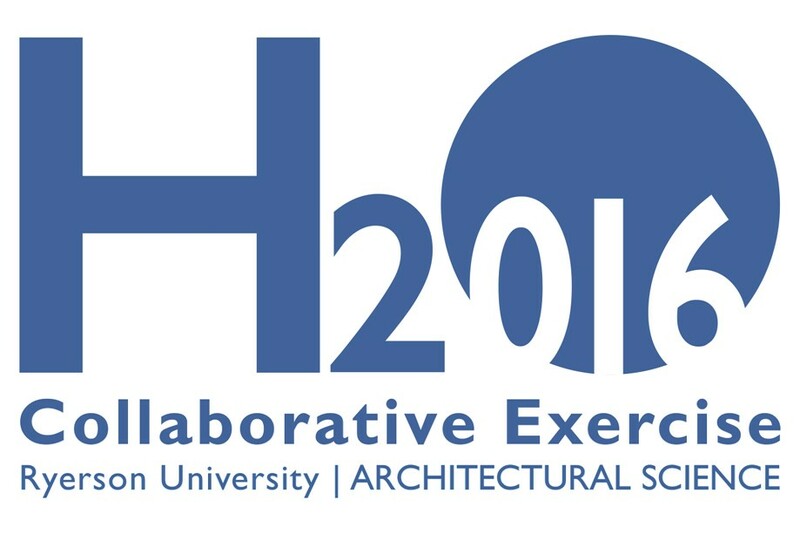 The 2016 Collaborative Exercise invites students to consider the relationship of humans to water – as a valuable resource and a source of life, energy and delight and to design an architectural intervention that engages humans to consider the importance of water to life on this planet. A philosophical discussion about the cosmos, our identity, the vagaries of clouds and hailstones as analogies for the metaphysics of water may certainly be interesting, but water, you will say, is real! In fact, it’s real in so many ways: it’s wet, it can be hot or cold; snow will slow us down in winter; a warm summer’s day invites us to the cooling waters of a lake or stream; a rainfall is a welcome in a drought while a summer hailstorm can flatten a field of crops or crack windshields; humidity makes us uncomfortable a dry winter makes us itchy; a summer downpour will spoil a picnic but can create a beautiful rainbow; an icy sidewalk can be treacherous, not to mention the more harmful impacts of water as a carrier of disease or as a powerful force bringing destruction to humans, plant and animal life and the built world. Water – H2O – therefore, can be understood to be many things: the source of life, a poetic inspiration, a powerful force, a transient entity. The 2016 Collaborative Exercise challenges students to consider the meaning of water in today’s world and propose design interventions that bring water’s many meanings to physical form. But why should we be interested in water? It’s everywhere, isn’t it? Don’t we have enough water to go around? Isn’t it something that just is? The answer is, yes and no. Water exists and there appears to be plenty of it but water in 2016 is in crisis around the globe. This exhibition will showcase architectural elements or “interventions” on a given site within the Thames River watershed designed by the Students of the Department of Architectural Science. The intervention will be designed in such a way to invite the public to consider the relationship of humans to water as an omnipresent element that is fundamental to life, a force of embodied energy, a valuable resource, and a source of delight. The interventions are visualized as a series of Water Thresholds / H2O_Thresholds, inviting citizens to connect with and interact with water in all its representations, forms and meanings. The H2O_Thresholds will form important nodes on a continuous network of places along the river and in the watershed. The interventions will be accessible from the region’s road network as well as from the water. Each element will form a connection between the land and the water, and relate the human experience to water in all its forms. Reception for this exhibition is on Friday, 15 January 2016 @5:00PM.